Bredon Star currently operates from two adjacent sites. 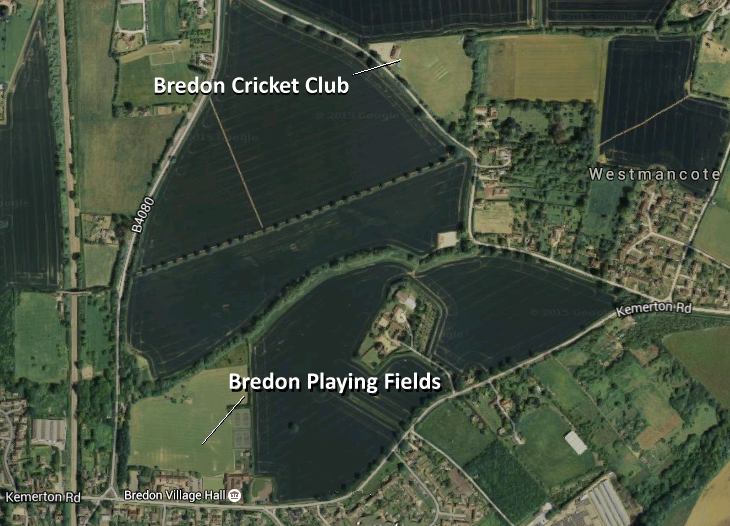 Seniors and Juniors are generally at Bredon Playing Fields, and 'Minis' at our facility at nearby Westmancote. Please confirm your venue with our fixture secretaries prior to the match, sometimes we switch location for some of the younger age groups. Leave the M5 at junction 9, and take the Evesham road. Follow this road over the railway bridge and past the Army camp on your left. Beware of speed cameras! At the next set of lights turn left signposted Bredon/Pershore, follow this winding road to the T junction at the end. Turn left and the club is 150yds on the right, just after the Village Hall and Bowling Club. Car Parking at Bredon Playing Fields. There are three car parks available: the main car park adjacent to the Bowling Club, a second one on the opposite side of the road, and an overflow car park 100yds further down the Main Road on the right, just before the turning to Pershore. The playing fields can be accessed from both the main and overflow car parks. We have changing room and shower facilities at Bredon, and upstairs is the Clubhouse with kitchen and fully stocked bar. Please ask any of the Bredon Star coaching staff about post match arrangements. At the next set of lights turn left signposted Bredon/Pershore, follow this winding road to the T junction at the end. Turn left and go past the Village Hall and Bowling Club on your right. Take next right turn for Pershore. After about half a mile turn right for Westmancote (look out for "Cricket Club" sign). Car parking is at the Cricket Club about 200yds on the left. Space is very limited, so we would appreciate car sharing where possible. Try to avoid parking on the bend by the wooden gate for safety reasons. Car parking will normally be marshalled. Walk past the club house and/or around the outside of the cricket field and over the foot bridge to the pitches. We have changing room and shower facilities at Westmancote as well as use of the Cricket Club Clubhouse where refreshments are available.